Quick deliveries for small items that can fit into a 10ft lorry. We can provide an extra helping hand if required. Since you are only travelling half the journey, you can save on the fuel costs and the rental cost as well. Not only will you still get the job done, it is definitely more convenient as well since you do not have to spend time returning the vehicle after you are done with your tasks. 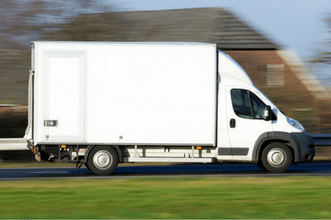 If you are transporting smaller goods, you can also use the one way small truck rental to save even more money! You also get to save time! Once you’re done with your task, we are sure that you will be exhausted and you would not want to have a long drive to the return point and then travel back home. We understand, hence we are offering to pick up the vehicle from a collection point that is convenient to you and you get to have a good rest at the end of the day. If our driver does the driving for you, you do not even need to think about that! Just unload your cargo and we will handle everything else for you! Does This Apply For All Trucks? This service applies to a variety of trucks. From cargo trucks to passenger trucks or refrigerated trucks, we offer the one way truck rental for all of them! It would be the most beneficial for these vehicles due to the nature of the rental and you would definitely appreciate having the vehicle being removed from your undertaking at the end of a long day. Wouldn’t it be great to be able to rent moving trucks in the event that your car is not spacious enough to move your belongings to your new home, and not have to drive the truck all the way back to where you collected it from? If you find it inconvenient, we can also deliver the vehicle to you or have our driver handle the driving for you. This added convenience is definitely a plus point, on top of our already competitive prices.